Nice nice chain, color was much better than the photos, actually looked anodized, shifts very smooth. I absolutely love my white chain! Looks amazing on my bike. Really good finishing touch to my custom bike. 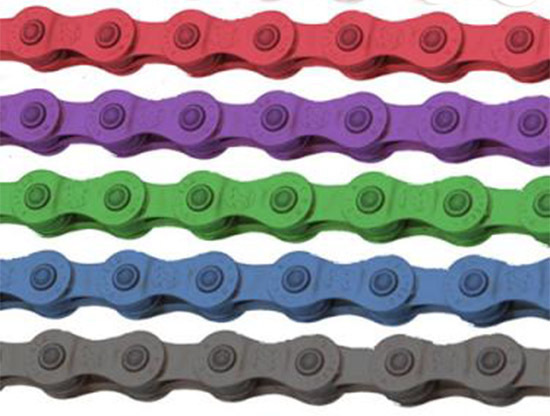 Great chain, looks like a quality chain and black color looks like anodized. Nice and blue at the start of my ride but not so blue by the end. The gear change was slick and I've had no issues to date. Just bare in mind that if you live in the grinding paste that is the Lancashire hills and forests, having a coloured chain might turn out to be pointless.